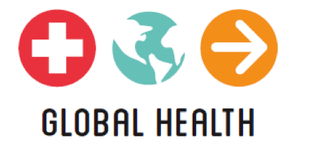 The Global Health Team seeks to produce and disseminate rigorous, policy relevant research to promote innovations in health and development. The team is developing and piloting innovative methods for mapping and crowdsourcing vital data on health indicators and access to health services in least developed countries. The team is currently exploring ways to improve data collection and analysis related to Maternal, Newborn and Child Health (MNCH) outcomes, access to MNCH care, and contributing factors to MNCH at the sub-national level. 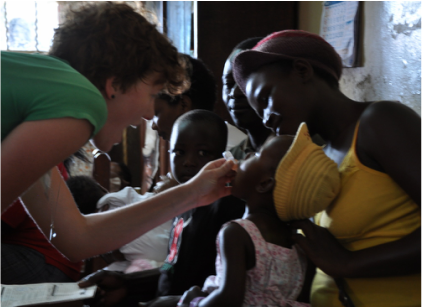 The Global Health team uses geocoding and GIS mapping techniques, and foreign aid and government expenditure tracking methods to analyze the efficacy of development aid. The team seeks to improve allocation of health resources and to draw new connections between health outcomes and other contributing factors such as environment and education access. The potential for health mapping in MNCH has been neglected in comparison to other fields of health. Progress towards the Millennium Development Goals has been particularly slow for MNCH, especially in reducing maternal mortality. The field of MNCH is also plagued by particularly poor data availability, especially at the subnational level. Real progress in MNCH demands comprehensive subnational data that will allow policy makers to design and target effective programs at the local level. The Global Health team is working to develop new data and publications to help fill this gap. We have witnessed important progress in maternal, newborn and child health (MNCH) outcomes in the past two decades, in part due to the Millennium Development Goals (MDGs) and increased efforts by aid organizations to target MNCH. However, this progress has also been uneven, and aid to MNCH dropped in 2010 for the first time since the MDGs began. We study a few specific cases of donors and recipient countries, highlight some of the strengths, challenges, and areas for improvement, and make recommendations for the post-2015 MNCH development agenda. We analyze the Kenya Demographic Health Survey (DHS) data in conjunction with the World Bank’s BOOST open budgets data, Development Assistance Data, and the OpenAid Partnership for trends in health outcomes, spending and efficiency in Kenya. This report reviews the potential for MNCH mapping, with a focus on Malawi and Uganda. It includes an overview of existing data, an analysis of knowledge gaps, a review of past efforts to map MNCH, and recommendations for future projects and unexplored opportunities. The IPD Health and GIS teams joined forces to participate in the March 2013 Mapping 4 MNH conference in Southampton. At this conference, IPD presented its work on MNCH mapping, including the Health Team’s Background Report, and collaborated with other partners in attendance to create a publication on best practices in MNH mapping. This report summarizes opportunities, challenges and strategies in overcoming data gaps and poor data quality through the use of mobile technologies in low-resource settings. Ad﻿ditionally, it provides an overview of methods and devices for mobile health data collection, a comparison of existing mobile health data collection platforms and their current uses, and a review of past mobile MNH data collection projects. We invite aid agencies, NGOs and think-tanks to contact us for collaboration. Please write to us at info@ipdutexas.org.